This week Cambridge University Press is celebrating both University Press Week and Academic Book week by giving away free access to 20 of our most influential books, hosting an Open Day and live streaming a lecture on the future of publishing. Events were kicked off on Monday 9th with an exclusive open day for members of the public who were invited to a talk with the Press’s Dr Rosalind Grooms and Board Director, Kevin Taylor. The speakers’ explored how the Press has, and will continue to shape the world of academic publishing, before inviting guests to explore the various treasures and artefacts in the Press Museum. Looking ahead we’re going to be live streaming a lecture with Dr Martin Eve (Senior Lecturer in Literature, Technology and Publishing at Birkbeck, University of London) about the future of the academic book at 12 pm on Thursday, 12 November 2016. Make sure you don’t miss out by signing up to the live stream here. 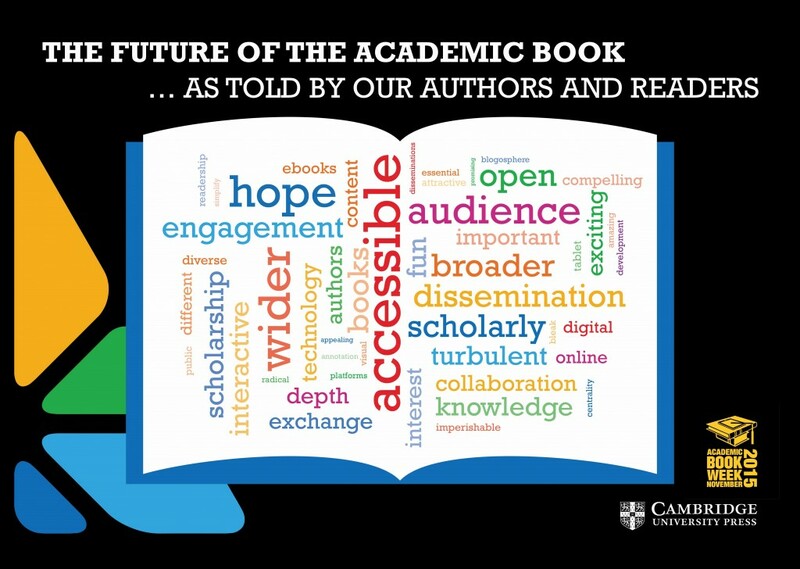 We’ve also incorporated feedback from authors and readers alike into a poster which depicts the most common words and phrases used to describe the future of the academic book. For more information on the Press’s events for Academic Book Week visit www.cambridge.org/ABW.